This week, it was my birthday. I’m not going to tell you which birthday – but suffice it to say that, if were attempting to follow in the footsteps of a certain bearded composer I much admire, I should have published a Horn Trio and be well into the planning of a Requiem by now. It was also a week in which, to my delight, I reached the next round number of followers on Twitter (480, for the record), got paid for a couple of bits of work, and was told that I should consider registering in the spring for the next level up in my tap dancing class. 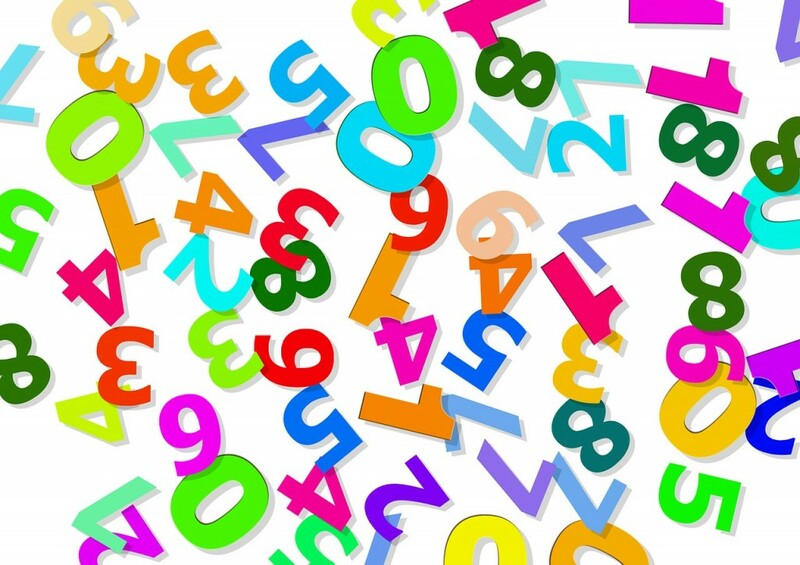 Numbers are everywhere in our lives. PIN codes, Facebook friends, bank statements, bus routes… they are an inescapable part of modern living. They are also a powerful means of marking progress and achievement; and of indicating why a particular activity, object or initiative is worthy of attention and investment. For the arts and music in a time of budget cuts and changing educational models, numbers can be powerful allies. As Sarah Connolly explained at an Arts Council event at Westminster last month, in 2013, the gross value of the Creative Industries in the UK represented 5% of the economy – a huge return on the relatively small investment being made in those industries at the time. Such statistics are inspiring and compelling indeed. But numbers, for me anyway, are often counterproductive. They make me competitive – in some cases unhealthily so, working against myself. Every diet plan or fitness regime I have tried in the past has relied upon numbers: maximum points allowed in a day, calorie restrictions per meal, number of minutes continuously jogging. They all failed. I felt like a failure, too, because I couldn’t keep up with the numbers. Now that I’m swimming once a week, I have made myself a simple promise: not to count. I swim for an hour, and take a little rest now and then if I need it – but I don’t count the number of lengths I do. I don’t want to know. I would rather swim as far as I can, as well as I can, as fast as I can, and measure my success in terms of this alone. I spent the last weeks of my BA and MA degrees worrying that the numbers I earned, the final essays and overall classifications, wouldn’t be high enough – that I hadn’t worked hard enough. I was relieved when I discovered that PhDs come with the simple options of ‘pass’ or ‘fail’ so that there was no numerical indication of one person’s being better than another. I am delighted to have 480 Twitter followers, and it’s easy to get sucked into feeling like that’s some kind of achievement… but whilst this one sort of measurement of my place in a sector networked through social media, it is not an indication of whether I am fulfilling my own goals any more or less successfully than when I had 430 Twitter followers. And much as I am excited to be moving from Tap level 1 to Tap level 1a, all it really means is that I’m getting the hang of it, and thus enjoying it and engaging with it in a way that I find satisfying and rewarding. I was extremely fortunate to be able to attend a Music for Youth Primary Prom at the Royal Albert Hall on my birthday. At this amazing concert, I watched and listened to the musical offerings of a number of talented young players who had composed their own pieces, made their own arrangements, worked hard to learn their lines and get to grips with their instruments. I watched and listened – thousands of schoolchildren did the same. We listened to other young musicians and were inspired and excited. We sang and clapped and did mexican waves around the hall, and impersonated Big Ben and the ‘Mind the Gap’ announcement on the Underground. We had fun and boogied along to some amazing acts (well, I say ‘we’ – it was the under-18s who were really doing the serious dancing). And if none of the children who attended that concert become professional musicians, I would say it matters not one jot. If some of them remember the joy of that concert, and end up going to gigs, dancing with friends, deciding to play or sing for pleasure, doing open mic nights or regular pub slots… then Music for Youth has done something amazing. It has given those children the gift of inspiration. And it gave me that gift, too. At the end of the concert, I sought out the organisation’s Chief Executive. I wanted her to know what a wonderful thing I think this scheme is. And I hope, in some small way, that my enthusing will have meant something. It was the enthusing of a single person, in a room full of thousands, with logistics and budgets and planning and many other things of which I can barely conceive. There were numbers all around us, and the number one is only tiny, after all. Over the past fifteen years or so, I have been extremely privileged to have spoken to people for whom I have in some way provided an idea, a method, or a vocation that was new to them. Several months after a lunchtime concert at Nottingham University, at which I played the harpsichord with an early music ensemble, a teenager approached me at an Opera North show I was attending to tell me that he had been at the early music concert, had completely fallen in love with the harpsichord through watching me play, and had started having lessons. After I was able to help out a visiting American grad student last year, looking for musical resources for a project he was researching, he left me a heartfelt and very moving thank-you card, and sent me a copy of his (excellent) finished assignment. A few hours after posting a blog article earlier this year, I had a text message from a friend I don’t have the chance to see very often – he said I’d given him a lot to think about, and that reading what I had written had helped him see things from a new perspective. I consider the words of each of these individuals to be amazing, humbling gifts. If I give a lecture to eight people, or a radio broadcast to thousands, and one person is moved, interested, or inspired by what they’ve heard, I consider that a major victory. No one goes into music or education for the money. Nor do we all seek fame and fortune. Numbers are not at the centre of our activities. We go into it because we love these things, were ourselves inspired by these things, and wish to inspire others in their turn. So the next time something inspires you, or excites you, or opens new doors, go and tell the person who has made that happen. I guarantee that your taking the trouble to speak to them will lift their spirits – even if you are only one in a world full of numbers.